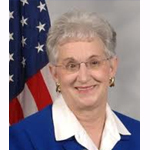 Rep. Virginia Foxx (R-NC) joins CWALAC’s Legislately! to discuss the SKILLS Act a.k.a. the Supporting Knowledge and Investing in Lifelong Skills Act (H.R. 803). Click here to listen. To encourage your Congressional representative to support the Skills Act, please call the House of Representatives’ switchboard at 202-225-3121.